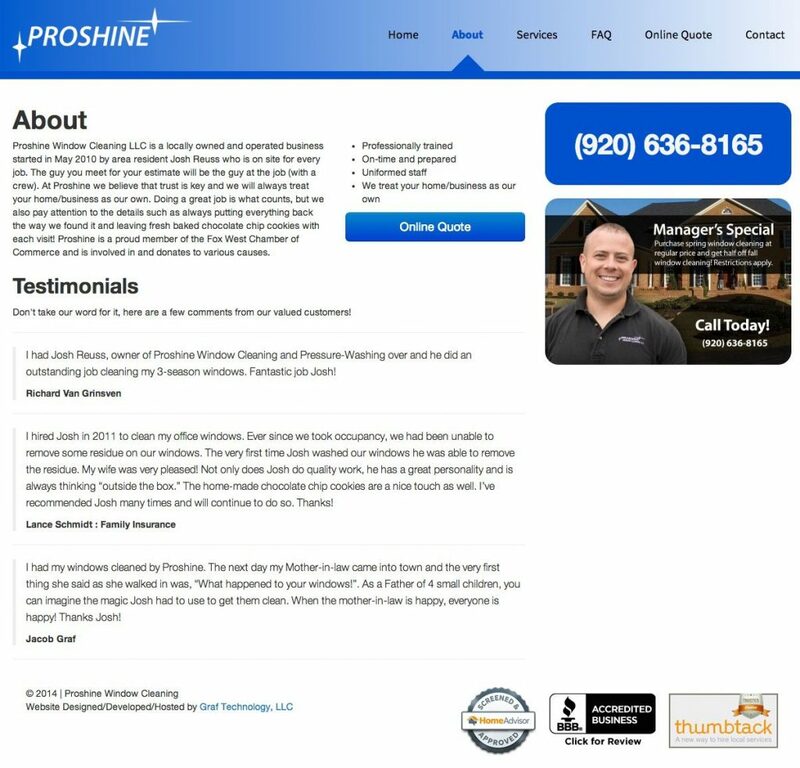 Proshine Window Cleaning LLC is a locally owned and operated business started in May 2010 by area resident Josh Reuss who is on site for every job. 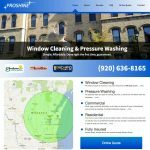 The guy you meet for your estimate will be the guy at the job (with a crew). 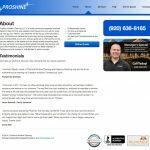 At Proshine we believe that trust is key and we will always treat your home/business as our own. Doing a great job is what counts, but we also pay attention to the details such as always putting everything back the way we found it and leaving fresh baked chocolate chip cookies with each visit! 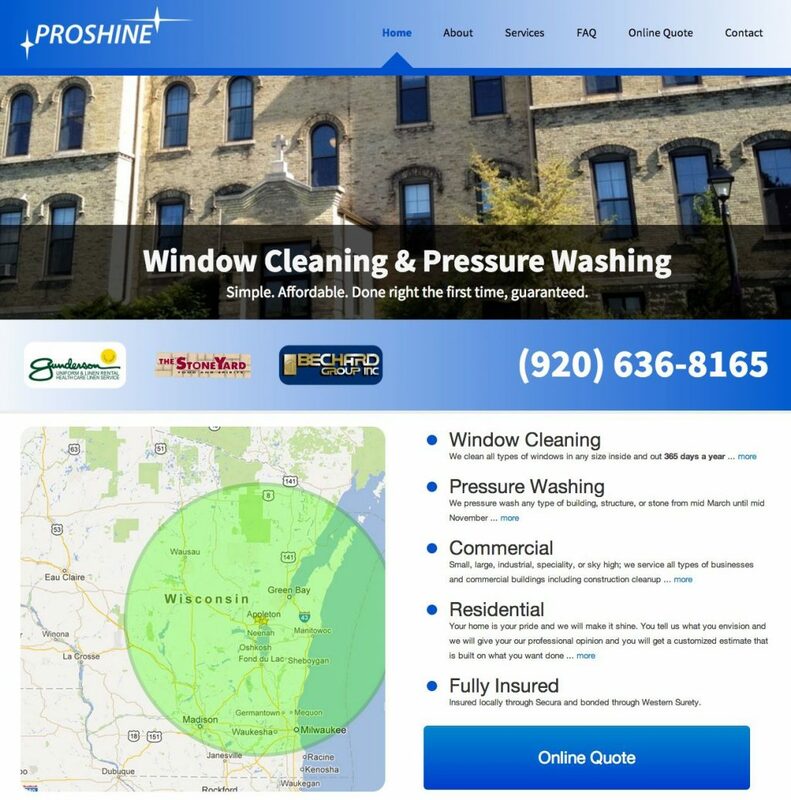 Proshine is a proud member of the Fox West Chamber of Commerce and is involved in and donates to various causes.